Science is something you can do. And doing science makes you a scientist! So, what do scientists do? They observe the world around them, ask questions, and use evidence (data) to answer the questions. They identify useful data that already exist or take new measurements. They also do calculations and analyze their data to draw conclusions about the questions they asked. Finally, and most importantly, they communicate their results so everyone can benefit from their work. By doing science, scientists gain a better understanding of the world around them and share that understanding with the whole world. 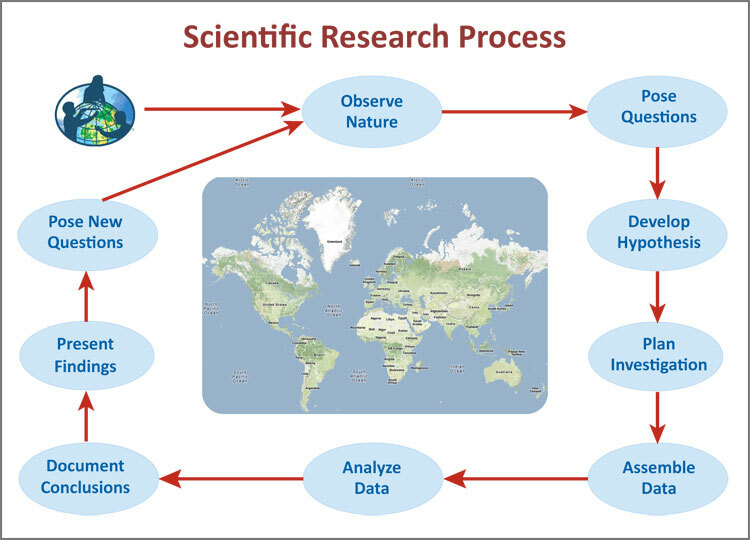 Here are the steps that a scientist takes to conduct a research investigation. By following these steps, you can be a scientist! En Español.